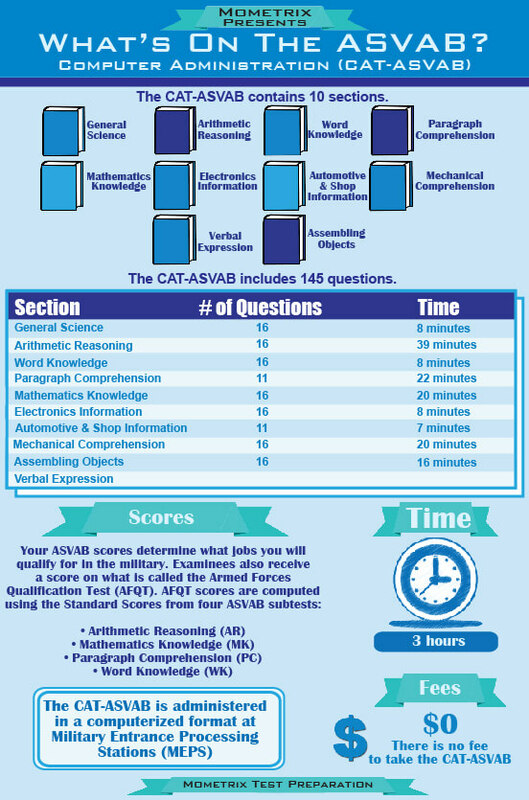 The ASVAB is a required test for any who are applying for enlistment in the United States’ Armed Forces. This test is designed to test the applicant’s knowledge and ability in four basic domains. These are Math, Verbal, Science and Technology, and Spatial. This helps the military to determine the academic and occupational placement of each individual taking the test. Once an individual has expressed interest in the military in some fashion and met with a recruiter, the application process is started. Typically, the recruiter will begin by asking a series of questions to gauge your eligibility based on the military branch you are trying to enter. These will focus around your health, education, marital status, arrest record, and drug use. It is imperative that these questions are given honest answers. Once the recruiter has determined that your answers meet all qualifications for that given branch, you will be allowed to continue in the application process. This is where the recruiter will schedule you to take the ASVAB and all of its subtests. There is no fee to take the test. Your scores on this test will not only allow the military to decide if you measure up to their high standards but also help to govern what your placement area or job will be. The ASVAB is taken at Military Entrance Processing Stations, commonly referred to as MEPS. There are 65 of these locations scattered throughout the U.S. and Puerto Rico. These are controlled by the Department of Defense and are staffed by both military and civilian personnel. If you do not live near a MEPS, Military Entrance Test or MET satellite locations may be available for you. These are usually set up within National Guard Armories, Reserve centers, and/or federal government office buildings. You are required to bring valid government issued identification with you to the testing site. You should arrive early or on time to make sure that you are allowed entrance to the site. If you are show up late, you will not be allowed to take the test at that time and will be required to reschedule for another time. The test is administered through a computer most commonly, with a few exceptions at various MET sites. Everything you will need to complete the test is provided for you. Therefore, you are not allowed to bring in any personal items to the testing center. This includes a calculator and any electronic devices. Unlike with the paper and pencil form of the exam, the computer administered test or CAT allows each individual to take the test at their own pace. When you finish a subtest, you can immediately begin to take the next subtest. The CAT is given, on average, two hours to finish, depending on whether or not tryout questions are present. The Arithmetic Reasoning subtest falls into the math domain. It is designed to test your ability to solve arithmetic or math word problems. It is made up of 15 scored questions, with the possibility of 15 extra tryout questions. If this subtest contains tryout questions, you will be given 78 minutes to finish this section. However, if there are no tryout questions, you will only be allowed 39 minutes to complete it. The test is scored on site for you as soon as you complete it. You will then be given your test results. If you are taking the test using paper and pencil, your test will be sent to MEPS to be scored. Your recruiter will then notify you when your results have been calculated and are available. If your goal is to ace this exam, it is a really great idea to get a hold of a study guide and/or a set of flash cards particular to this subtest and exam. Mometrix has a study guide containing all of the information that you will be expected to know for the test. It also provides you with sample questions that will help you better understand what type of questions will be asked, as well the formatting of those questions. The flash cards will enable you to test yourself on the material covered in this section, ensuring that you pass each subtest will flying colors. 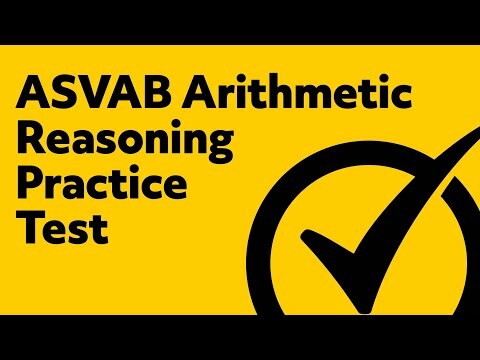 Be sure to try out both the ASVAB Arithmetic Reasoning study guide and flash cards for the best testing experience.